In the late 1960’s (in ’67 or ’68), Nikolaos Samaras succumbs to tuberculosis. A few years later, Maria Kyriazi-Samara, the only one of the nieces and nephews of Nikolaos Samaras to have remained in Mytilini, assumes the responsibilities of the business. She was no older than 20 at that time. With her husband, Panagiotis Anagnostou, by her side, they pick up the pace of the distillery’s commercial activity with a view to strengthening their distillery not only in terms of production but also in terms of product quality. 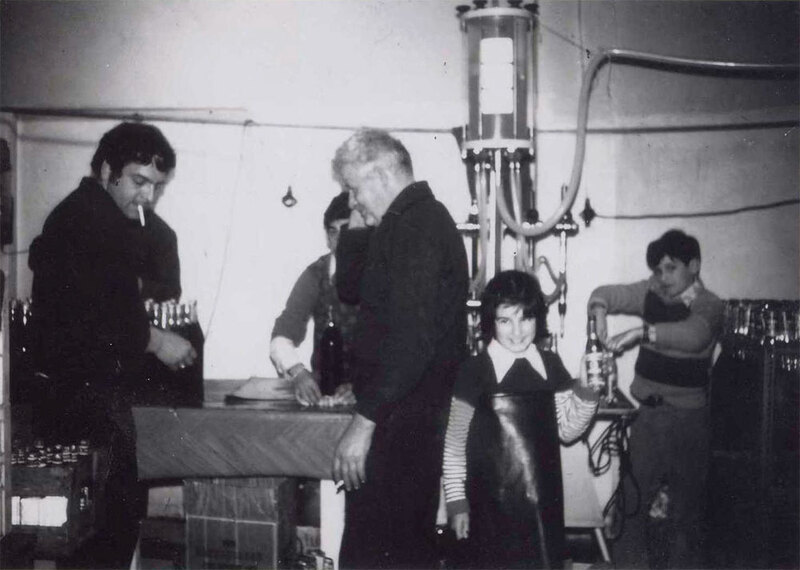 In November 1977, the couple’s plans come true: the distillery is ready to move to its new, privately-owned facilities in the area of Dourahani, in Papados of Lesvos. The plant’s equipment is modernized, the distillery purchases its own vehicles to move its products, and new, state-of-the art production lines are installed. Soon after that, the distillery’s ouzo sales in the greater Athens area begin to rise. With the new plant facilities in place and fully functional, the SAMARA DISTILLERY S.A. quickens its pace. However, the turning point for the distillery will be felt in 1997, two years after the distillery is converted from a personal business to a societé anonyme and is given the name Samaras Distillery AEVE. It is the time when Dimitris, the son of Maria Anagnostou-Samara, a degree holder in Business Management who, up to that point, had been an executive for the Hellenic Bottling Company, joins the family business. As the distillery’s new Commercial Director, Dimitris Anagnostou renews the image of the family business, by initiating novel packaging practices and new, profitable collaborations. Moreover, he broadens the distillery’s sales network in Mytilini; introduces the company’s products into new markets; and begins cooperation with large retail chains. At the same time, the production process (distillation and bottling) undergoes structural changes. For the first time in the history of the distillery, an actual sales department is established in southern Greece, staffed with sales management personnel and sales representatives. Today, the Samara Distillery continues writing its history under the harsh conditions of a domestic ouzo market that is fiercely competitive. In great part, the Samara Distillery is one of the most characteristic examples of a leading, small-to-medium family business born out of the vision conceived by its Asia Minor founders who successfully transferred and “set up” anew their entrepreneurial spirit in various parts of Greece.